Home>Sports> Patrick Beverley On Kevin Durant Trolling: "I Do It For My Teammates"
Patrick Beverley understands his role very well. The Los Angeles Clippers came back from 31 points down on Monday to defeat the almighty Golden State Warriors and tie up their first-round series at one game apiece. A lot of the Clippers success has to do with Patrick Beverley and the job he's done guarding Kevin Durant. Durant has been getting visibly frustrated with Beverley and it has resulted in an ejection in game 1. For Beverley, he says he can't control how people react to the way he plays. "I don't try to get in people's head man," Beverley said via NBC Sports Bay Area. "I can't help that people get irritated by me. It's not my fault. I go out there and I try to be the best defender on the f-g planet, consistently - (day) in and out, in and out. I take my role, I take my job, very seriously, and I do it for my teammates. I understand my role, and I understand how to get stops. KD is not an easy cover, but it's fun out there for sure." Clippers head coach Doc Rivers explained just how key Beverley is to the team's fortunes. "(Beverley's) so important for us," Rivers said. "I think people get lost in some of his antics and stuff. But his spirit and his soul is so important for our team. He was encouraging everybody." Game three will go down on Thursday in Los Angeles. 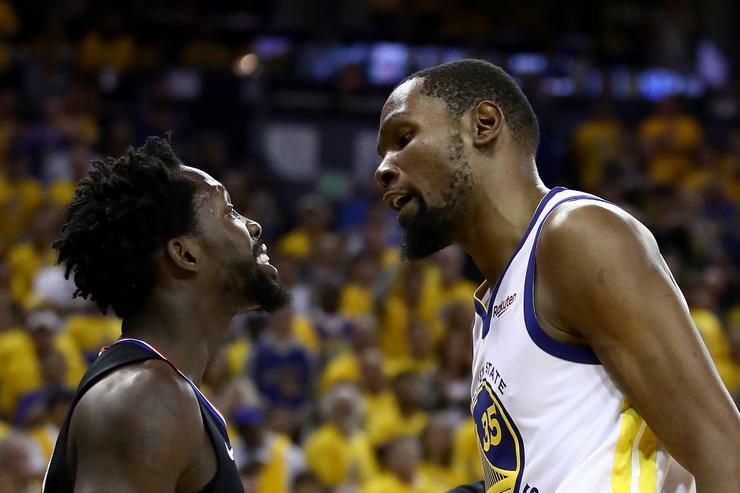 SPORTS Patrick Beverley On Kevin Durant Trolling: "I Do It For My Teammates"